■ Others you didn’t know about. 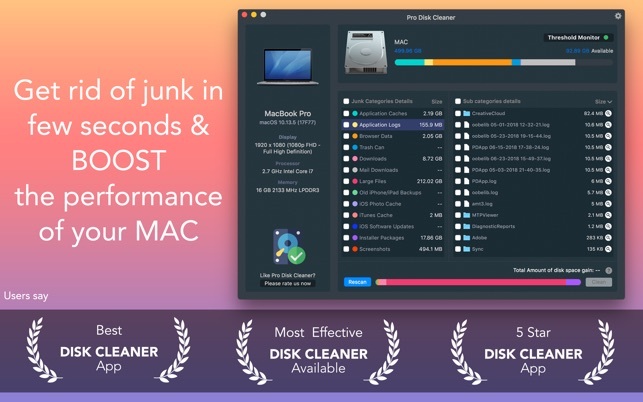 (Recommended) Unlock Disk clean once the disk is scanned, can also use free trial for 7days. 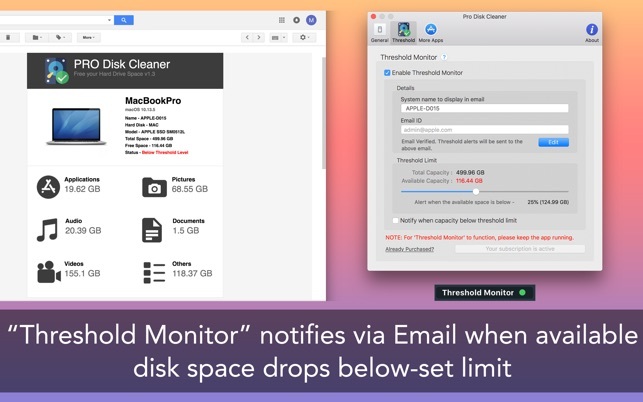 ◎ Once the disk space is below-set threshold limit, email is triggered to a configured email address. Subscriptions may be managed by the user. The subscription is for a period of 30 days, and will have to be manually renewed. 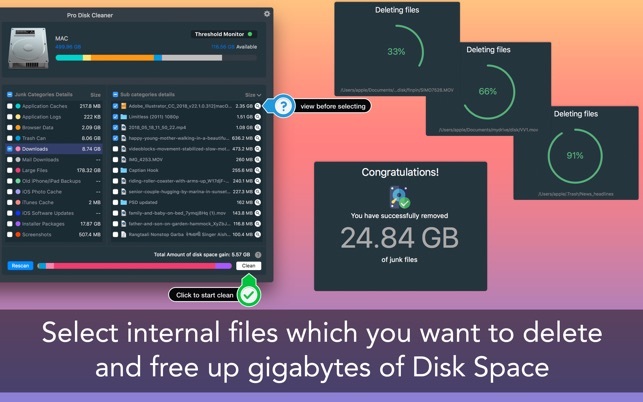 ◎ Added 7-days FREE Trial to experience Disk Clean paid feature for free. Was looking for a quick way to evaluate my data storage. 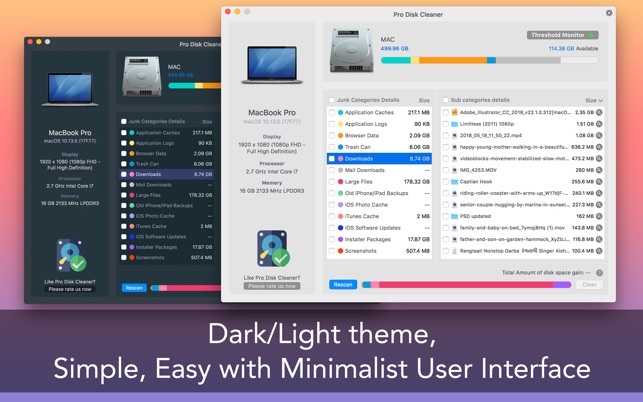 The lite version tells you what is taking memory and where. You technically don't need to unlock the full version unless you'd like the convenience of simply clicking the "clean" button, but for $2 this is a great solution.